Learn how to use an iPad or iPhone in the comfort of your home. 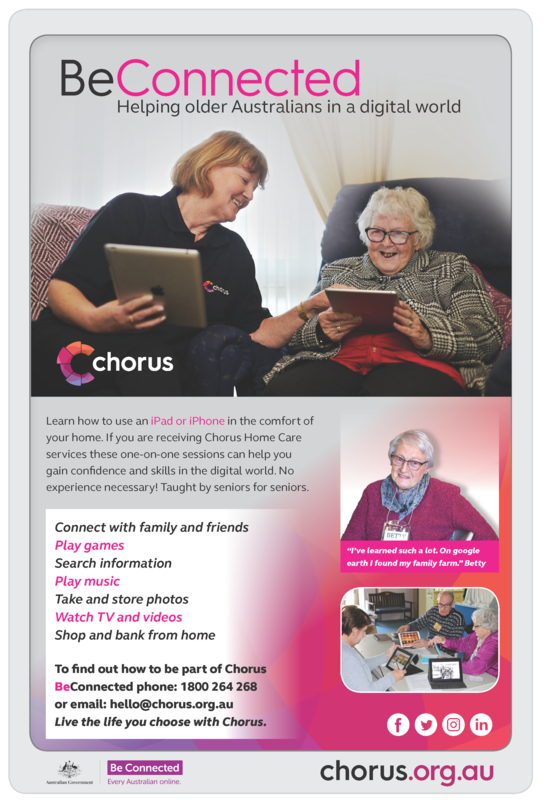 If you are receiving Chorus Home Care services, these one-on-one sessions can help you gain confidence and skills in the digital world. No experience necessary! Taught by seniors for seniors. shop and bank from home.